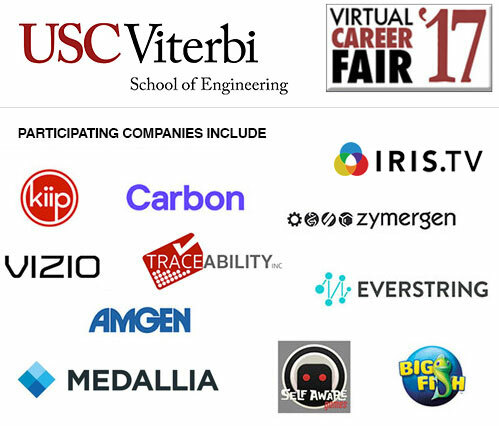 Participate in #1 Ranked Viterbi School of Engineering’s Online Career Fair. International Employment Experts sponsored Viterbi’s first Online Career Fair held on April 5th 2017. This event was for recent graduates and alumni holding master’s and doctoral degrees in various engineering disciplines. We invited Viterbi students and alumni to register for the event here. We will post information about the Fall event as details arrive, and provide a link for pre-registration. Employer participation is currently closed for the Spring Online Career Fair.